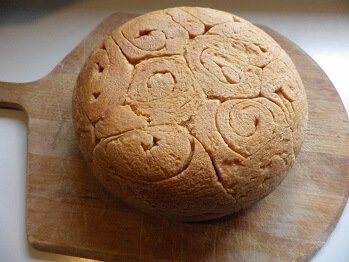 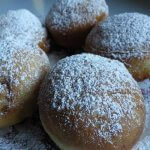 Kubaneh bread is a popular Hanukkah bread with Yemenite Jews. Most now reside in Israel although a few hundred still reside it Yemen. 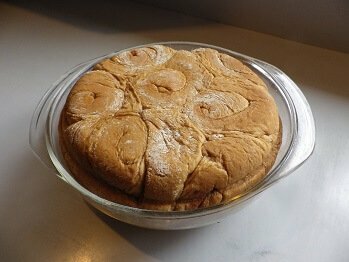 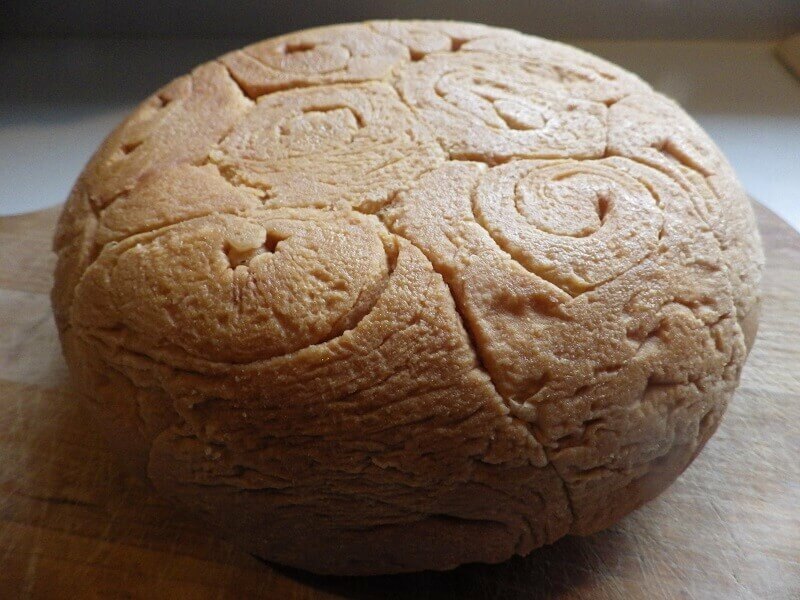 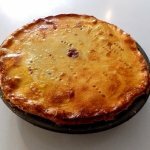 This is usually prepared for a Sabbath breakfast or lunch and is baked at a very low temperature in a covered pan or Dutch oven to steam it more than bake it. 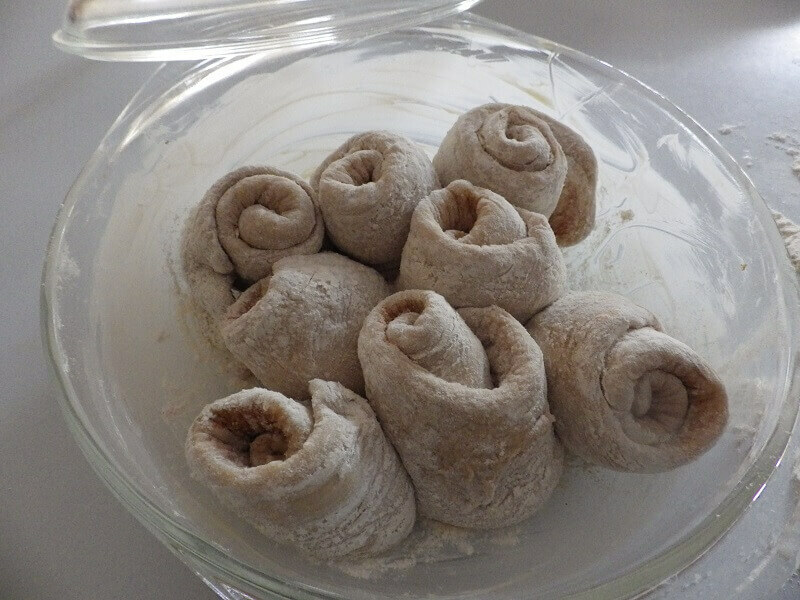 It’s usually served in the morning and is both tender and it’s wonderfully sweet, and is a finger food that is meant to be pulled apart by hand. 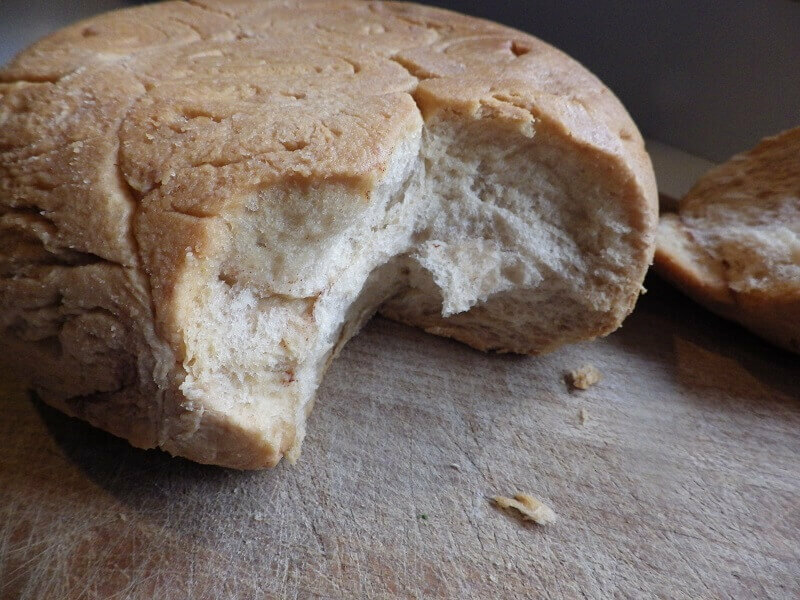 This is one of the things that make it a kid’s favorite. 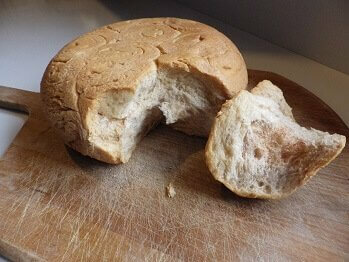 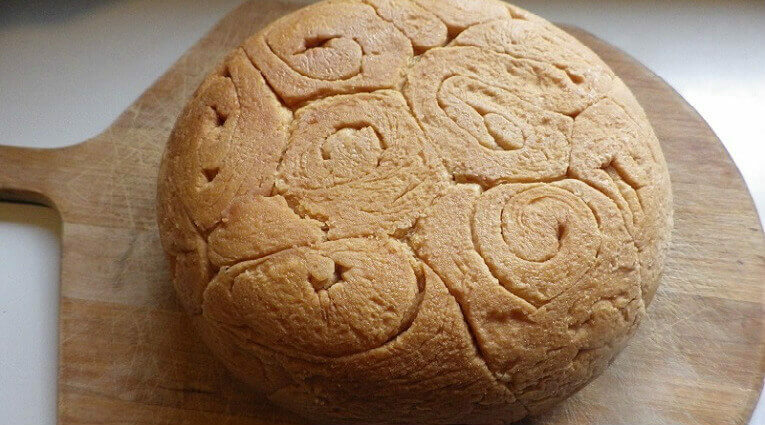 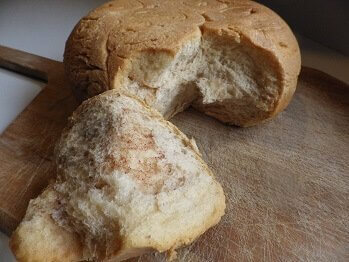 Add all of the ingredients to the bread pan except for ingredients of the baking process. 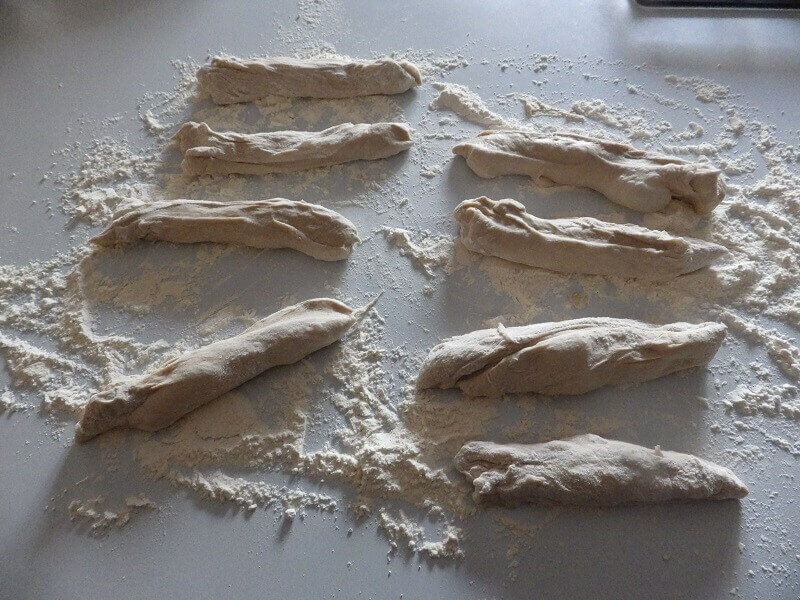 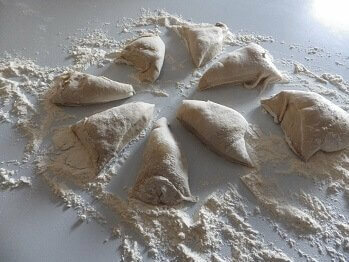 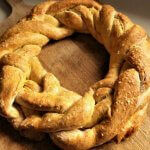 When the dough is finished, cut into 8 equal sized pieces and roll into a rope of dough about 8 inched long. 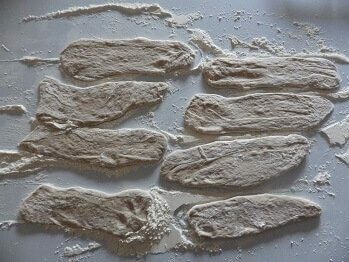 With a floured rolling pin roll out the dough until flat and about 2 inched wide and 8 inches long. Spread the softened butter on the dough with one piece of butter for each rolled out dough section and sprinkle with the cinnamon and the sugar. 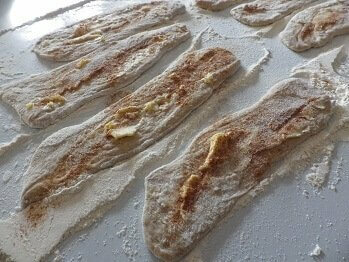 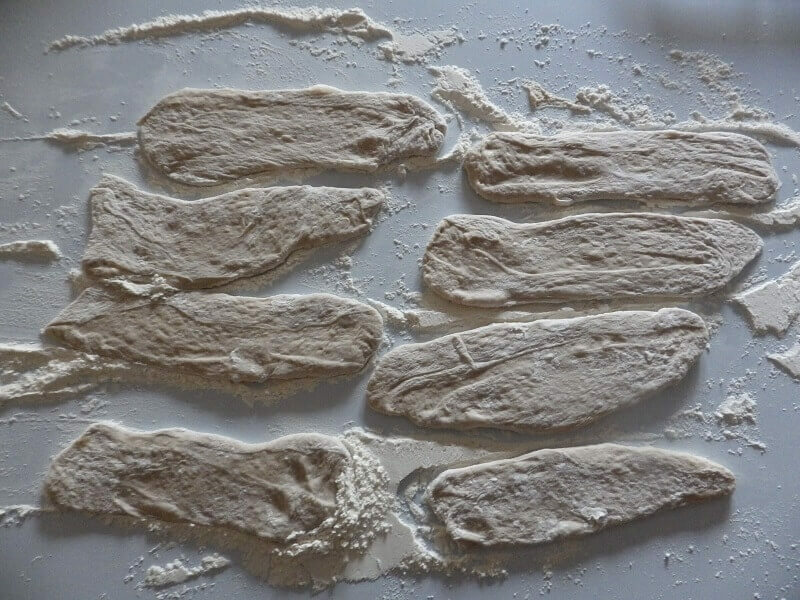 Let these strips of flattened dough rise for 45 minutes and then gently rollup into rounds. 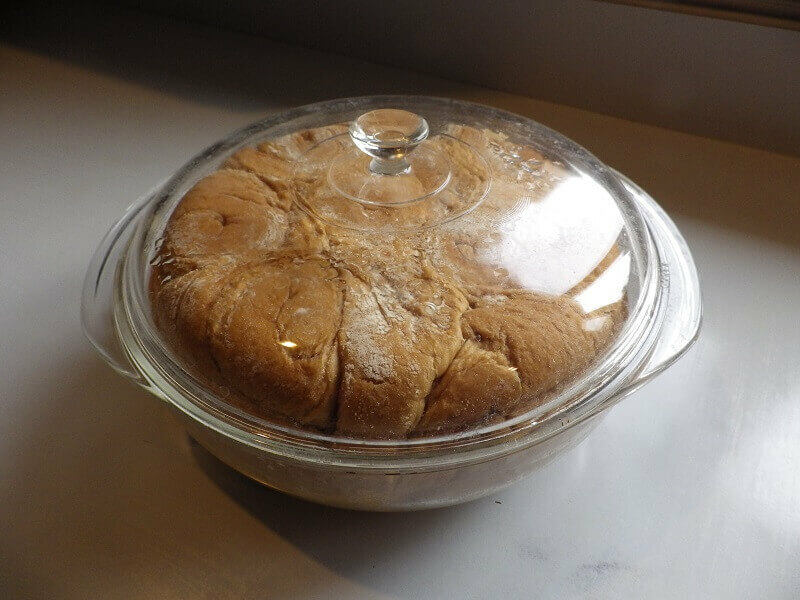 Butter a baking dish or Dutch oven and place the dough rounds into the dish or pan. Cover tightly with oiled aluminum foil or top with a lid. 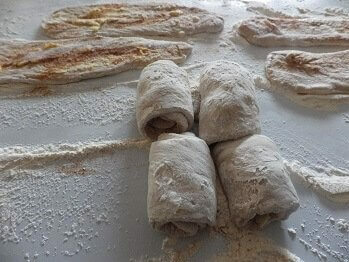 Set aside and preheat oven to 225° F./110° C.
Bake the bread covered for 3 hours. Remove and serve or remove and let cool and then cover with plastic wrap until ready to eat.